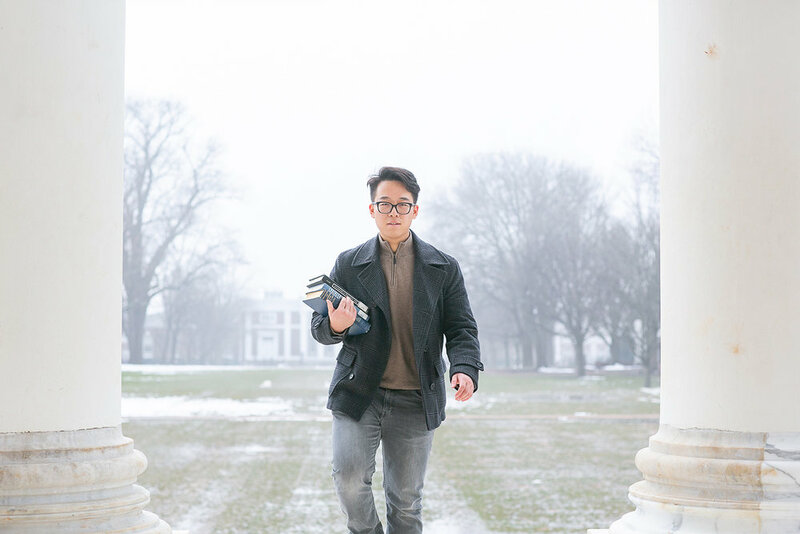 On a cold January morning, Tom Sun is tucked under his loft bed on the second floor of Old Main leaning over a heavily annotated copy of Friedrich Nietzsche's On the Genealogy of Morals. To his left is a copy of Homer’s Iliad and to his right is small notebook filled to the brim with notes, ideas, and questions that he has meticulously recorded. The dim yellow light from his desk lamp illuminates his current study materials as well as the books crowded above his head in a makeshift library he has built in his dorm room. Epic poems, novels, collections of poetry, and religious texts are so tightly crammed into this small library that it seems at any moment a book will be squeezed out and shoot across the room. For Tom, being surrounded by the works of great thinkers and diving deep into the depths of their intellectual waters is why he traveled across the world to attend MSA. Tom Sun is committed to squeezing every ounce of scholarship into his time on the Hill. In his first novel, A Portrait of the Artist as a Young Man, the Irish writer James Joyce traces the intellectual awakening of a young author named Stephen Dedalus. The work is an example of a Bildungsroman--a novel dealing with one’s formative years and intellectual awakening. For Joyce, this time in one’s life is the most exhilarating and most fulfilling. Similar to Joyce’s character, Tom Sun has embarked on a Bildungsroman of his own the past four years at MSA. While one might argue his essays and comments in class are artistic in detail and formulation, it is probably more accurate to refer to Tom as a scholar than it is to call him an artist. Nonetheless, his portrait provides an image of a young man who has taken advantage of every opportunity afforded to him as a student. While Tom devours serious intellectual books, he is careful to carve out time to put his own ideas into writing. Over the past four years, Tom has produced highly impressive literary analysis and history research essays. In 2018, he completed an essay on John Milton’s epic poem Paradise Lost that he had been tinkering with for over a year. He first wrote the essay in Mr. Hufnagel’s tenth-grade English class and then revised and added to it in AP Language and Composition with Dr. Nabi. The essay was recognized during Spring Honors as the best literary analysis essay of the year and garnered significant praise from the outside judge, Dr. Steven Knepper--a professor of English Literature at Virginia Military Institute and former teacher at MSA. Currently, Tom is taking advantage of Miller School of Albemarle’s partnership with the University of Virginia Library System to locate primary sources and history books to develop his claims about military logistics during the American Civil War. 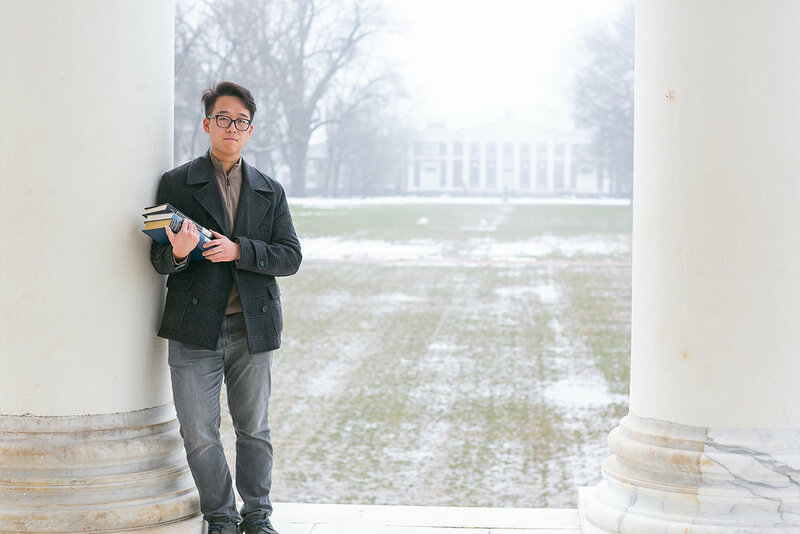 MSA’s connection with the University of Virginia allows students like Tom to dig deeper into their research. For Tom, this research is sometimes simply in pursuit of more knowledge and other times in pursuit of proving his own argument. Tom Sun is a scholar in the making. He has decided “To follow knowledge like a sinking star,/ Beyond the utmost bound of human thought.” The happy few who have had the pleasure to teach him at MSA will surely look forward to following him on his journey “beyond the sunset” of intellectual adventures. You don’t often see “Student Reads Books” as a headliner in a paper. But Tom Sun is a real headliner and what he is doing goes to the heart of what MSA is about.